After receiving notice of Pastor Seige Poteau’s brief visit to the States, Missionary Flights International excitedly contacted the Haitian missionary to request an interview. Two weeks later, Poteau arrived in the front office of MFI fired up to tell us more about his current ministries in Haiti. 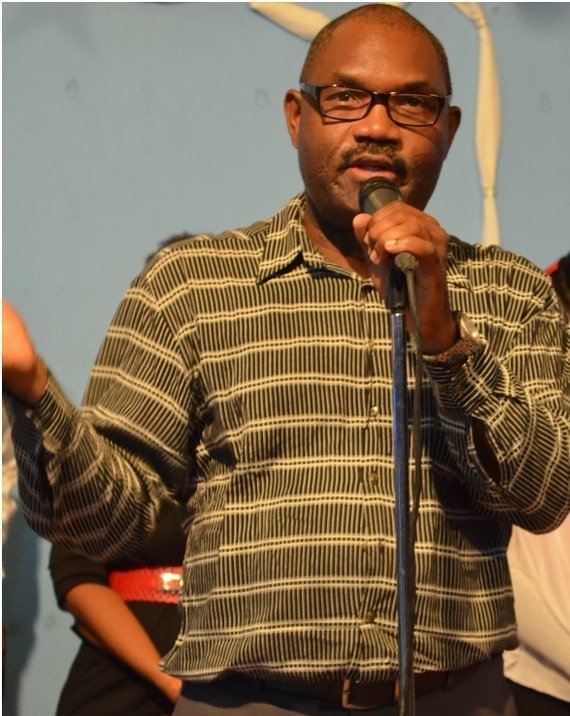 Poteau is well known in Haiti for his uniquely large church of over a thousand members and broadcasted sermons on the internationally tuned-in-to Haitian Christian radio station, Radio Lumiere. Additionally, Poteau has established a vocational school, university, young women’s refuge home, a housing and support program for kids on the streets, and currently resides in an orphanage in Port-au-Prince along with his wife and the thirteen young boys they care for. While growing up in Haiti, Poteau was greatly aware of the needs of those living in his community. He graduated from a Haitian college, with a degree in statistics and economics, and then briefly worked as a government employee before moving to the United States in 1986. Once there, Poteau received a Masters degree in computer science from the University of Massachusetts and then moved to Palm Bay, Florida to begin work as a software engineer. In 2001, Poteau and his wife felt the Lord calling them to serve in their home country. Poteau enrolled in the School of Ministry at Calvary Chapel Melbourne and later left for the mission field in 2006. Once there, Poteau and his wife began a Bible study that quickly grew to three separate studies, which quickly turned into a church, Calvary Chapel Port-au-Prince. In less than six months the Poteaus began ministering through their tiny church building with a twenty-five person capacity. Today, that same church has grown to hold up to 2000 believers and four weekly worship services. Today, Poteau’s sermons reach farther than just his church in Port-au-Prince, they are also broadcasted on Radio Lumiere. Radio Lumiere is the main Haitian Christian radio station on the island and also broadcasts worldwide through the station’s online streaming. Poteau’s voice is well known by Haitians around the world. Poteau recalled a moment while visiting family in Canada when a lady, whom recognized him by his voice, quickly dialed up a friend and exclaimed “The Pastor is here!” Poteau remarks that instances such as this are great encouragements for the continuation of devotion to God’s work in Haiti. During the establishment of the church, the Poteaus’ set the foundation for their education ministry. Currently supporting over eight-hundred students, their vocational school began with the modest sum of ten students, all of whom were enrolled in computer classes taught by Poteau, his wife, and a fellow missionary. They have since graduated 1,800 students from the school. Two years later, in response to the lack of university education available to low-income Haitians, the Poteaus established a university in Port-au-Prince. Educating over 300 students, the university provides classes in computer science, education, accounting, and management. The Poteaus established the university with the hope of educating Haitians and encouraging them to use their education in their home country.